Do you have any solutions that would allow merging if an .fdf file into a pdf and then saving it? I am working on a project in which I am tracking information in a database. I am then pulling information from a database to create an .fdf file and then import that information into a fillable pdf template that has fields for digital signatures. I am trying to get the .fdf file to populate the pdf. (This is already working). However, I would like to save the pdf with the fdf information in it, so that it can then be sent out to get signatures from the appropriate people. 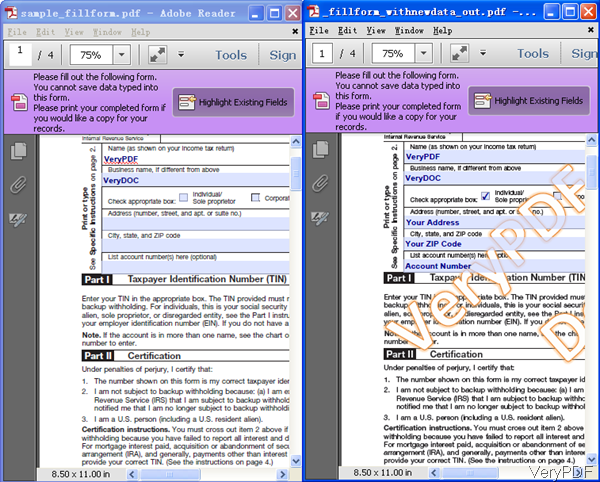 This entry was posted in PDF Form Filler and tagged fill form, pdf form filler, PDF forms. Bookmark the permalink.